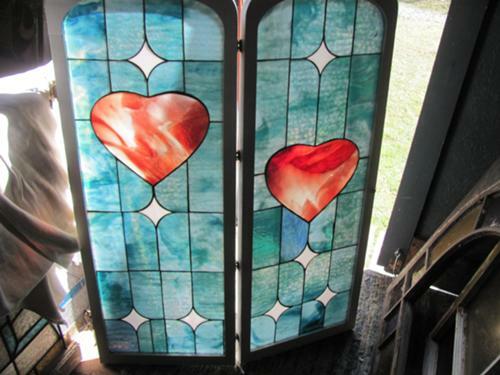 For Sale: Stained glass window shutter, could be used as is or taken apart. One panel has a crack in the heart. Study and strong. Any questions please let me know. Thanks for looking.